We are proud to announce that Mission Grove Community Association has selected Tinnelly Law Group as their associations’ legal counsel. Mission Grove, by D.R. 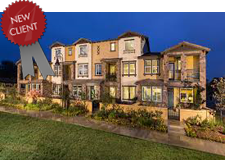 Horton, is a brand new condominium community located in San Marcos. Conveniently located near Cal State San Marcos and Palomar Community College, the community features tot lots, pool, BBQ and picnic benches for residents to enjoy. Our HOA attorneys and staff look forward to working with Mission Grove’s Board and management.